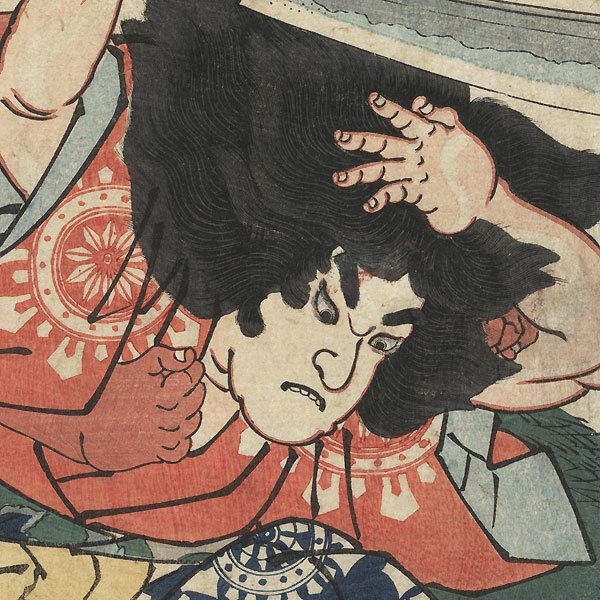 Shosha Gomotsu Saito Oniwakamaru, circa 1830 - Dramatic image of Oniwakamaru, the future Benkei, thrashing the monks with whom he had quarreled as an apprentice monk at Shoshazan. 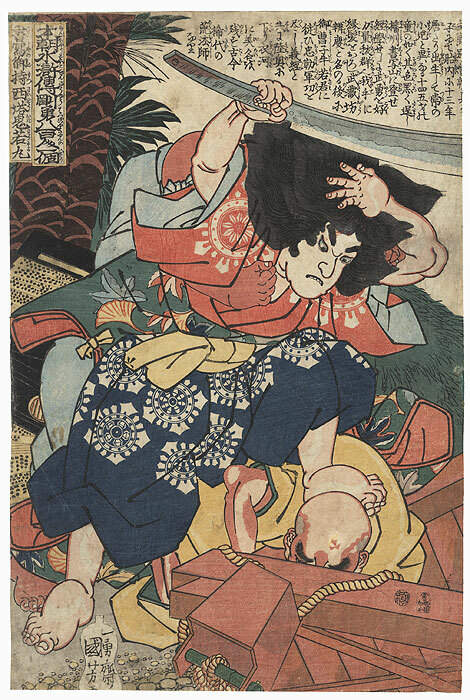 Glaring with rage and biting his lower lip, the young boy steps atop the neck of a prostrate monk who leans over the edge of a well. He raises the blade of a sword missing its handle above his head, pushing back his wild hair with his hand. 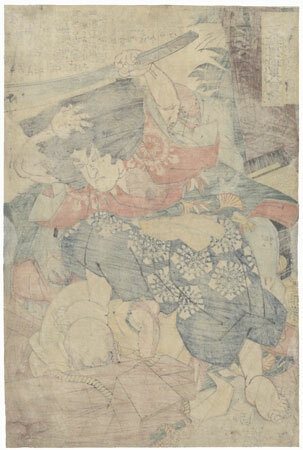 The scene is one of chaos with a water bucket and fallen wooden beam at lower right, and an unfolded sutra beneath the palm trees at left. A great image from the early life of this great warrior monk. Condition - This print with excellent detail as shown. Diagonal folds at corners. Small losses at edges, a few wormholes, repaired. Slight soiling, a few creases, slight rubbing at edges. Please see photos for details.